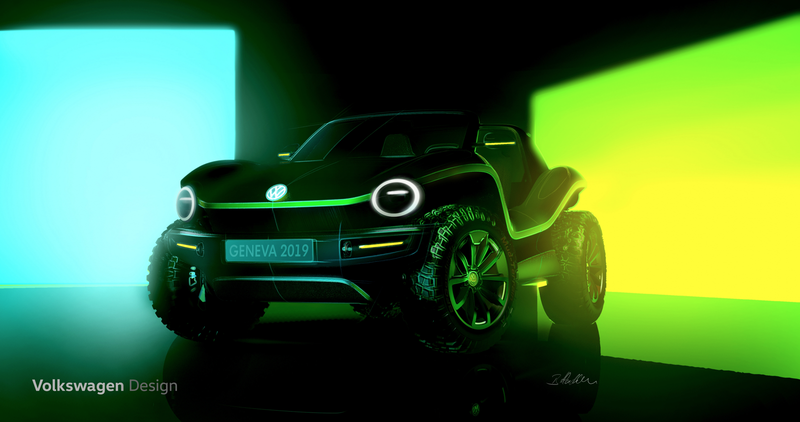 Volkswagen’s announcement of a new dune buggy-inspired electric concept is absolutely fun and exciting, but the real news isn’t about this concept itself—it’s how its built. It’s built on VW’s new MEB modular electric platform, and for the first time in decades, Volkswagen seems to have—and, even more importantly, appreciate—that they may have something as flexible as the old Beetle chassis, which spawned a whole industry of kit cars and dune buggies. This is a big deal. This suggests that the MEB could potentially be the basis of “low-volume niche vehicles” like, perhaps, a reborn Karmann-Ghia or Thing or dune buggies like these, or, perhaps at a larger volume, another resurrection of the Beetle. They’re already planning on a new Microbus, so why not? Man, you better follow through on this, you cowards! ...but hopefully this time, with the MEB platform, it may actually happen. That aside, this thing looks really fun. It may be a stretch to think it’ll make production, but it would be amazing if it did, of course. The electric motors would have great torque, and with the battery weight low in the chassis and possibly AWD, this thing could be a formidable beach crawler. I’m eager to see more of this when it’s revealed in March at Geneva, and even more excited to see if VW will follow through on the potential for the MEB platform to host many types of interesting, niche cars. If so, that would mean a Volkswagen renaissance that I’ve been hoping to see for years. I’ll try not to get my hopes up, but it’s tricky. New Electric Fridolins for All!